A thank you to the many, many supporters who’ve already booked their place at this eagerly anticipated event and a reminder below for those who have still to do so. 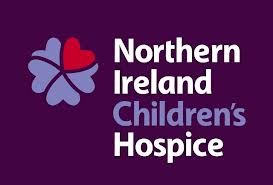 The annual Linfield Gala Awards Night and Dinner will take place on the evening of Saturday 11th May at the Crowne Plaza Hotel, Shaws Bridge, Belfast. This is the third year of this prestigious event and is an opportunity for players, management, supporters, club officials and former legends to join together to celebrate the highlights of the season. This year the awards night will be hosted by UTV’s Ruth Gorman with the after dinner entertainment provided by local comedian Tim McGarry. 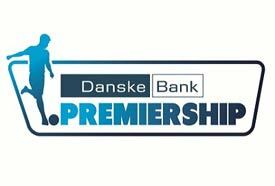 Supporters clubs are also invited to present their player of the year awards on the evening and should notify the club accordingly if they wish to do so. 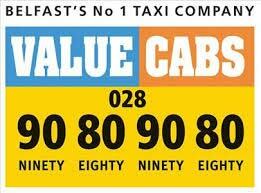 Tickets are priced at £45 per person for a four course meal and tables of 10 can be accommodated. 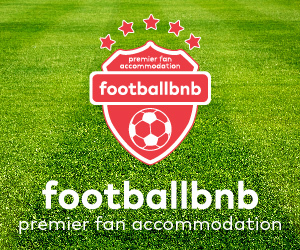 Anyone interested in booking a place should contact Linfield Director Jonathan Lamont via e-mail at jonathanlamont@btinternet.com or by phone on 07803538475. 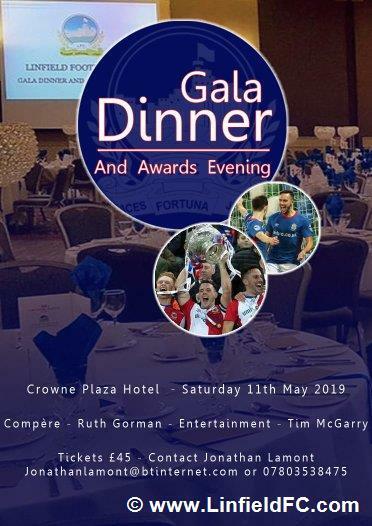 Interest in this event is expected to be high so book your place now to join with the Linfield first team squad at our Gala Player of the Year Awards and Dinner 2019.